December 28, 2012 | Meagan Miller & filed under Year in Review. Once again, dear listeners, it’s time to take a look back at our most played albums of the year. Every record on this list is here based on the number of spins received in 2012 on CJSR. Some of the albums arrived at the station in late 2011, but received the bulk of their play this year. This year, surprisingly, our own FunDrive compilation made the top spot, but if we’re giving a crown to anyone, it’s certainly Mitchmatic. It’s ProbablyRaining was easily our favourite release of the year, with the album finding a home on nearly every DJ’s playlist, even earning Mitchmatic wider recognition outside of CJSR, from greater Edmonton audiences and NPR in the United States! Well earned, Mitch. Well earned. 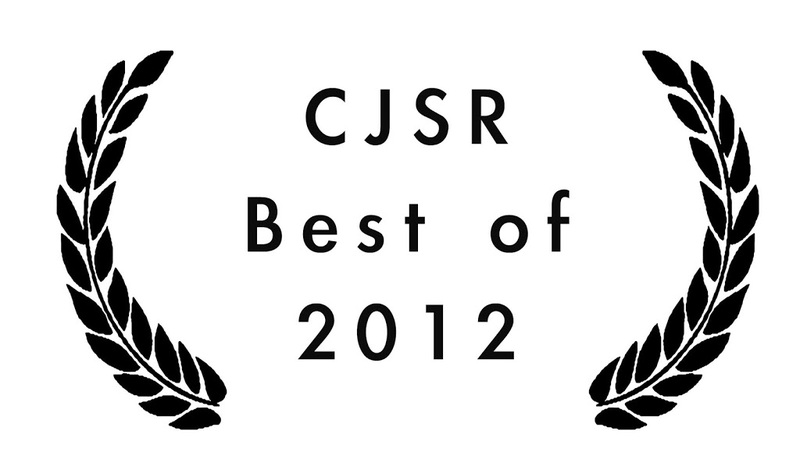 Please enjoy our list of our favourites from 2012. Bolded artists are local. Scroll down to see our genre charts! 68 Cookie Duster When Flying Was Easy MapleMusic / Draper St.
And here’s a closer look at our genre charts!